How to copy multiple sheets in Excel? 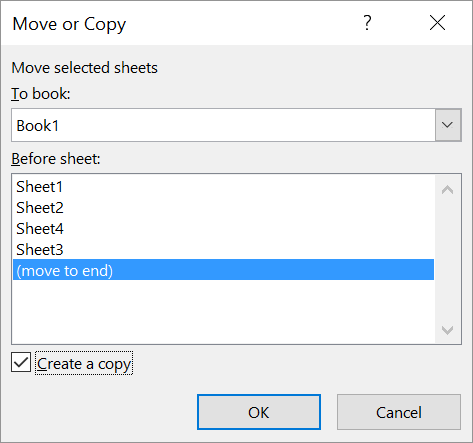 There are scenarios where you might want to make a copy of multiple worksheets in a workbook in Microsoft Excel. In this blog post, lets see how to do it in Microsoft Excel 2016. 1. Select the worksheets that you want to copy. Press the “Ctrl” key and click on the worksheet names in the sheet tab that can be found in the bottom of the excel to multi-select. 2. 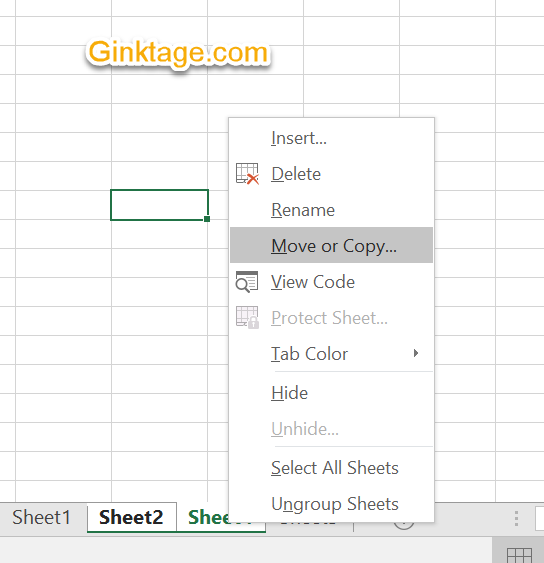 Right click on the sheet tab and select “Move or Copy” from the Context menu. 3. In the Move or Copy dialog box, select the settings as shown in the screenshot. Select the workbook and “move to end” options and click the OK button. 4. You should immediately see the worksheet being copied.